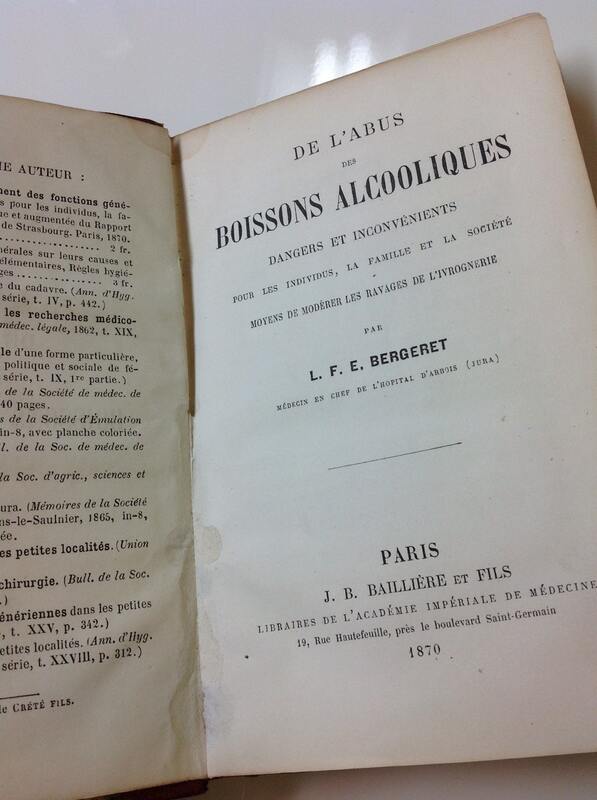 Offered here is a rare first edition volume of The Abuse of Alcoholic Drinks (De L'Abus de Boissons Alcooliques) by Bergeret in French. 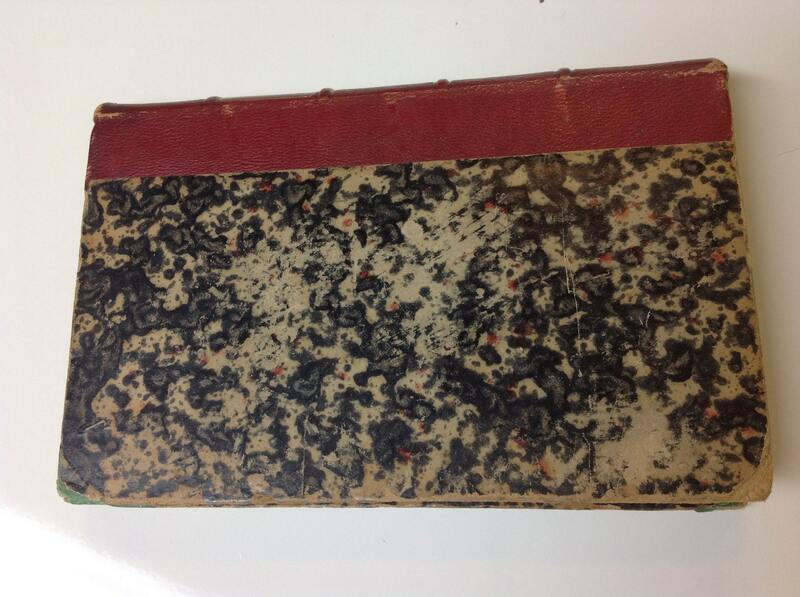 The book is elegant in red half leather. Page block has separated at spine, but is tight and bright and the book seems overall fairly stable with some loosening if the very front pages. 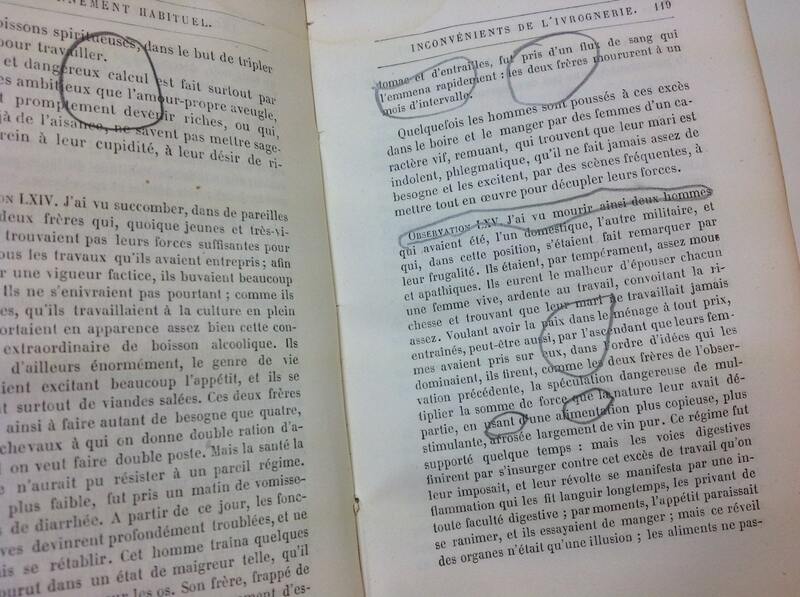 At any rate, this is the only original copy for sale at the time of this writing, so you won't find many others available for sale. 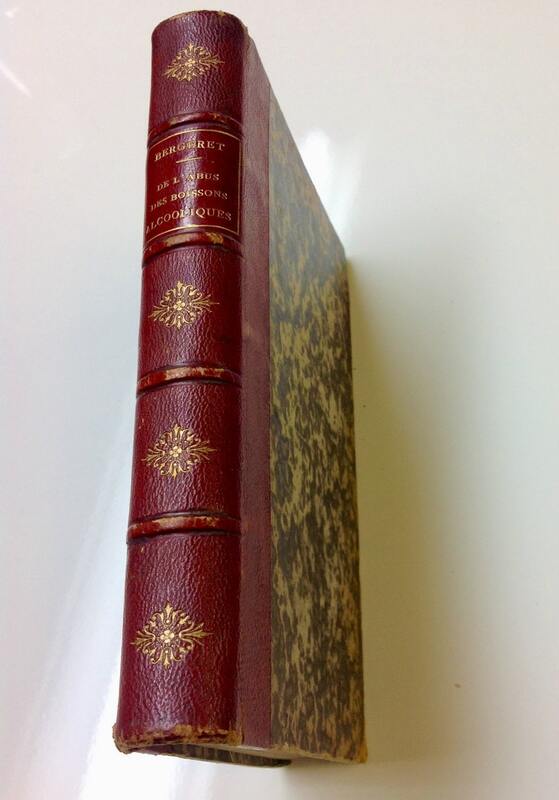 Elegant raised bands on the book and gilt title and etching on the backstrap. 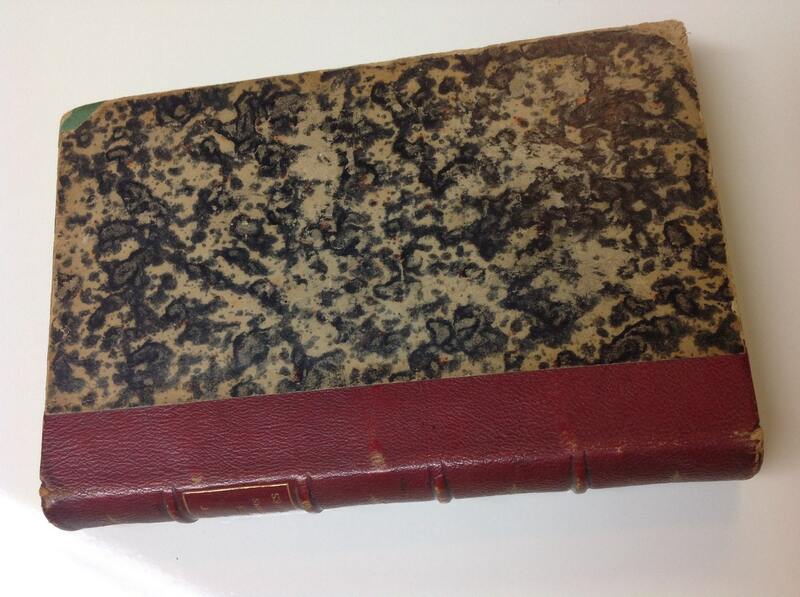 Some modest rubs and scratches to leather especially at front cover corners. Bumps to corners and rubbing, especially to the board of cover. Light cracks at the hinge, but boards are firmly secured.